US meat giant Tyson Foods has acquired the assets of California-based Mexican food producer Circle Foods as it continues the expansion of its value-added product line. Tyson purchased the assets of Circle, a producer of frozen and refrigerated hand-held Mexican foods, uncooked tortillas and Indian flatbreads, from US investment firm Claridge. Terms of the deal, which closed on June 1, were no disclosed. 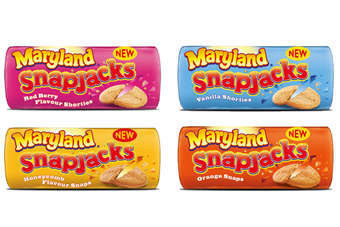 Circle Foods produces branded products. Lines include Nuevo Grille, Rotiland and Tortillaland. It also produces private label products for various customers. The company operates a facility in San Diego and employs around 600 staff. 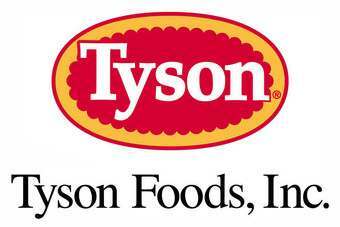 Tyson said it has no plans for any "significant" operational changes and intends to keep the existing Circle Foods management and production team in place to grow the business. "Claridge and the Circle Foods team have developed an outstanding portfolio of products and customers, with a fantastic plant and workforce, and will be an excellent fit within our branded consumer products group," said Donnie Smith, president and CEO of Tyson Foods. "We believe Tyson's robust sales structure, as well as our frozen and refrigerated foods distribution system, will enable this business to accelerate its growth." This is the second acquisition for Tyson Foods this year. In February, it acquired local tortilla, salty snack and pretzel maker Don Julio Foods. The company has been looking to accelerate growth in value-added poultry, prepared foods and in its international business to drive sales over the next three years. Early last month the US meat giant booked a drop in second-quarter earnings after the group saw a deterioration in its beef margins. Sales, however, were up year-on-year. Tyson Foods Acquires Assets of California Food Company Purchase Part of Tyson's Value-Added Growth Strategy SPRINGDALE, Ark., June 3, 2013 (GLOBE NEWSWIRE) -- Tyson Foods, Inc. (NYSE:TSN) continues to accelerate the strategic expansion of its value-added foods portfolio with the acquisition of the assets of Circle Foods, LLC, a producer of frozen and refrigerated handheld Mexican foods, uncooked tortillas and Indian flatbreads, from Claridge, officials of both companies announced today. California-based Circle Foods has been in business for 25 years and is known for branded products that include NUEVO GRILLE® and TORTILLALAND® handheld Mexican products, TORTILLALAND® uncooked tortillas and ROTILAND® Indian flatbreads. The company, which operates a state-of-the-art plant in San Diego, also produces private label products for various customers. "We are delighted to see the transition of Circle Foods to Tyson Foods, who are committed to continue the growth of the business. 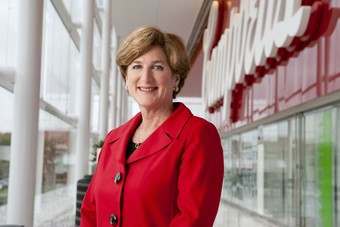 Right from the beginning when we met the Tyson people and organization we knew we had an excellent partner we could work with on this transaction," said Stephen Bronfman, executive chairman of Claridge. "We are confident that Circle Foods will flourish under Tyson's ownership." Circle Foods' 159,000 square foot facility in San Diego was built in 2008 and has been recognized for its outstanding food safety management system. The plant produces burritos, chimichangas, enchiladas, quesadillas, tacos and tamales, as well as tortillas and Indian flat breads. More information about Circle Foods is available at CircleFoods.com. CHINA: Poultry plant fire "kills 112 people"